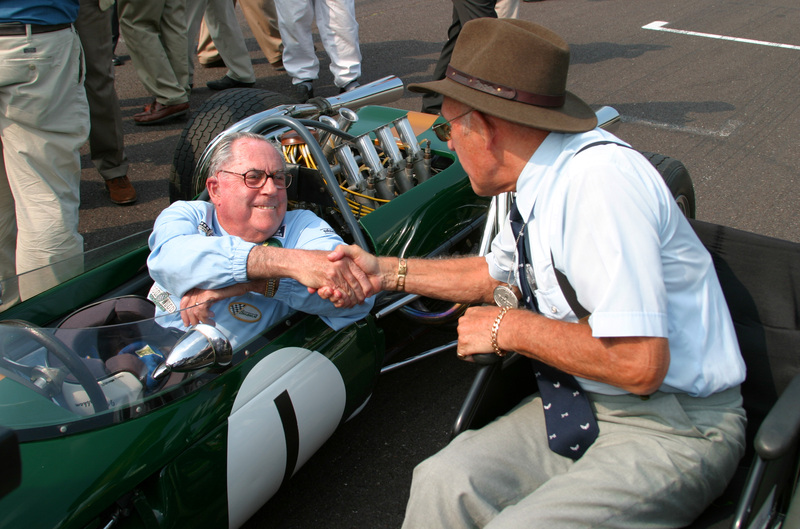 Monday Memories – Sir Jack Brabham | Talking Speedway, Speedway news from around the world! This morning Monday May 19th we all received the very sad news that Sir Jack Brabham had passed away aged 88 years on the Gold Coast in Queensland. While I was not fortunate enough to have been able to see Sir Jack driving on Speedway, my younger days were filled with admiration for his racing achievements .Although I only had the chance to see him race the once it was something I will cherish forever .Warwick Farm – Tasman Series 1964 . The career in Speed started back in 1948 when the youngster from Hurstville built a midget Speedcar with American friend Johnny Schonberg. The midget Speedcar was fitted with an 800cc JAP Motor Cycle engine. Schonberg drove the home made special up until his wife persuaded him to stop driving as she felt it was far too dangerous. Sir Jack soon over the driving chores and his legendary career had starting on the dirt. 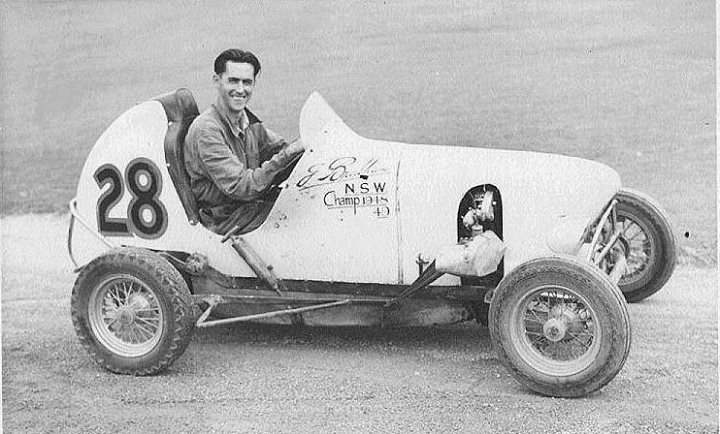 In 1948 Sir Jack won the first of his three Australian Speedcar Championships. Even at an early age Sir Jack was a talented designer and engineer capable of finding the best set up for his race car. In 1951 Sir Jack took his home made speedcar into Hill Cimb events and his love affair with the asphalt had started. After purchasing and applying the JB factor to cars purchased from British Race car maker John Cooper Brabham started to make his mark on road racing circuits both in Australia and New Zealand. In today age of massive Commercial endorsement for race teams it is hard to image what was behind the Confederation of Motorsports in Australia (CAMS) when they banned the use of Commercial signage on the side of his race cars. Brabham had arranged support in those days with REDEX ADDITIVES and the word REDEX SPECIAL painted on the side of his Cooper Bristol. How the times have change. 1955 the UK and Europe were the next challenge for the Sir Jack and his young family .Brabham’s association with John and Charlie Cooper of the Cooper Car Company was the perfect stepping stone on his journey to greatness . In 1960 Brabham successfully defended his Title .1961 and rule changes left the Cooper Climax of Brabham uncompetitive with the new mid engine Porsche, Lotus and championship winning Ferrari. After qualifying in 16 position Brabham finished the race in 9th place after running as high as 3rd .The appearance of the rear engine Copper Climax with its traditional twin white stripes helped bring a new era to auto racing in the United States. 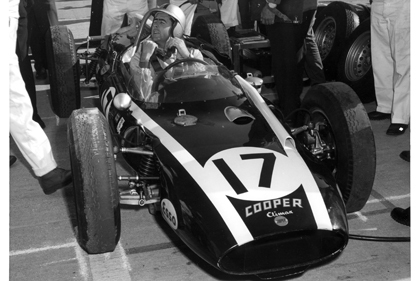 Brabham continued to race with Cooper Cars until ending the relationship and teaming with Aussie race engineer Ron Tauranc and the development of their own race car followed. During the years to 1965 the team used Climax V8 until the development of the all Australian Repco V8. 1996 and Sir Jack set another milestone that most likely will never be repeated, driving a car of his own design to the World Formula Championship. Many greats of the past have tried and failed, John Surtees, Dan Gurney and Brabham team mate at Cooper Cars Bruce McLaren. After retiring in after the 1970 racing season Sir Jack continued his successful career in business both in Australia and the UK. In 1978 Jack Brabham was knighted for his services to Motorsports. Sir Jack Brabham paved the way forward for many of Australian race drivers and his reputation and performance on the International stage no doubt has been instrumental in high lighting the potential of many young budding Aussie racers. Names like Alan Jones a former World Champion with the Williams Team, Mark Webber and of late Daniel Ricardo. Brabham’s influence on the oval tracks racing in the US particularly the Indy 500 gave momentum to the racing careers of current Indy Car drivers Will Power and Ryan Briscoe. Sir Jack is survived by his second wife Margaret, sons Geoff, Garry and David and their families. In a statement on the family’s website, Brabham’s son David confirmed his father’s death. “It’s a very sad day for all of us,” David Brabham stated. “My father passed away peacefully at home at the age of 88 this morning. He lived an incredible life, achieving more than anyone would ever dream of and he will continue to live on through the astounding legacy he leaves behind.